Not a golfer, but want a chance to win up to $5,000 at the Arizona Central Credit Union Golf Tournament all while Supporting Cancer Support Community Arizona? Now is your chance! 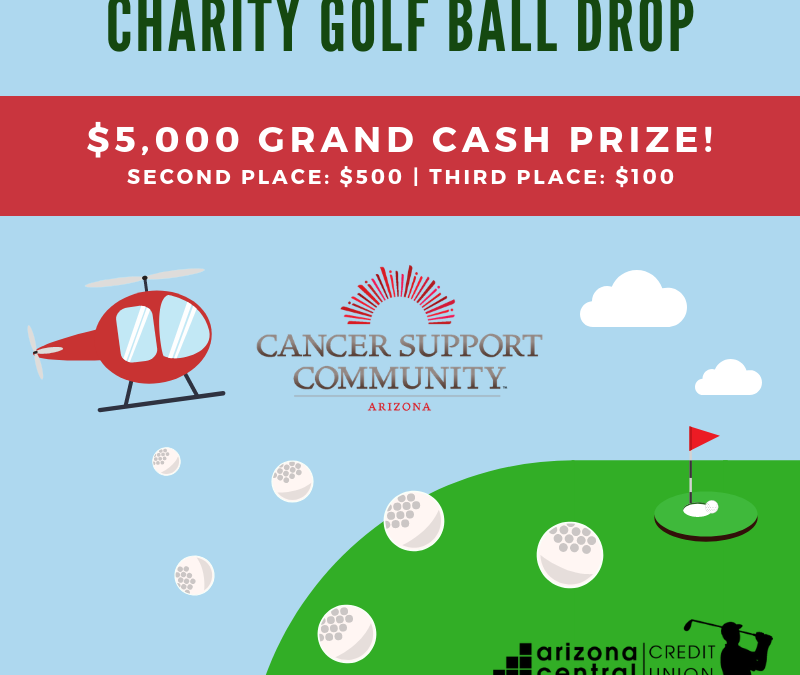 We are excited to announce we will be having a helicopter ball drop at Arizona Central Credit Union’s 7th Annual Benefit Golf Classic, which benefits Cancer Support Community Arizona! The event takes place on Monday, November 19, 2018 at Arrowhead Country Club in Glendale, AZ. Each entrant’s golf ball is numbered and loaded into the helicopter. Numbers are assigned in the order each entry is received. All golf balls are dropped over a designated hole on the driving range and the winner is the lowest ball in the cup or the closest to the pin. The winner will receive $5,000! Plus, there will also be a second place prize of $500 and third place prize of $100! The winners will be announced at the event. If the winners are not present, they will be called personally. Special Note: You do NOT need to be present to win and the Ball Drop will occur at the Annual Arizona Central Credit Union Golf Tournament on Monday, November 19. You can purchase one ball for $25, or 5 balls for $100.